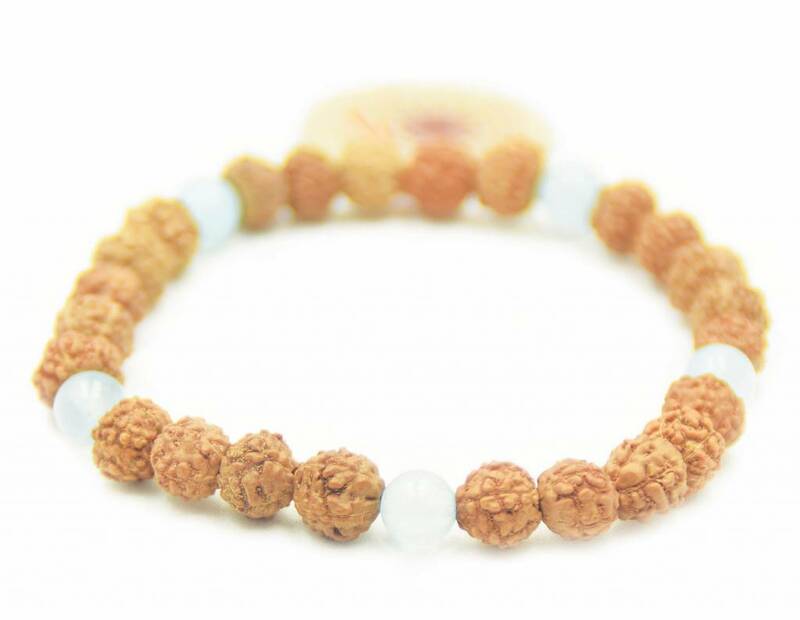 The 'Roots mala bracelet' is made from Rudrakshas, ​​interspersed with various Leopard Jasper and Lava beads. 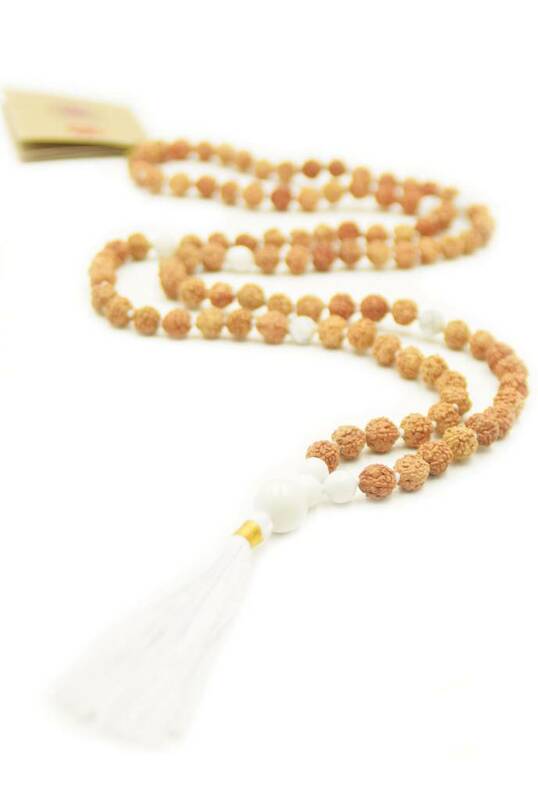 The 'Release Mala chain' consists of Rudraksha's and Howlite. As a pendant, a large Howlite ball was used above the tassel. The mala belongs to the 7th chakra. 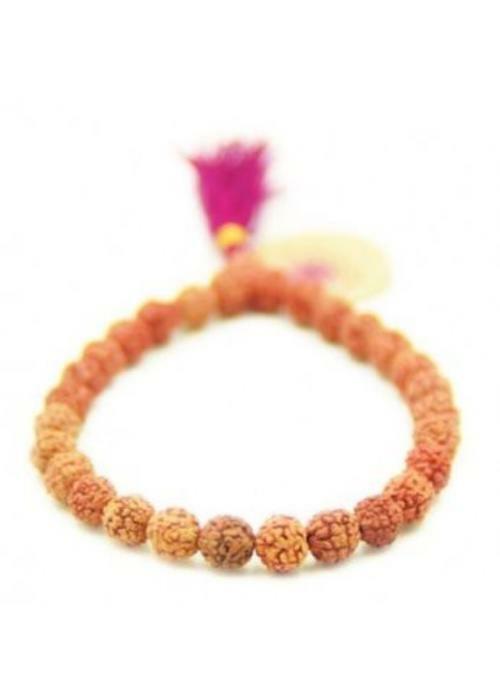 The 'Love Stone mala bracelet' is made of Rudraksha's, interspersed with various Rose Quartz stones. Belongs to the 4th Chakra. The 'Inner Strength Mala necklace' is made from unique Rudraksha's, combined with Lavastone beads. The mala is anchored with a powerful Lava pendant, above a red tassel. 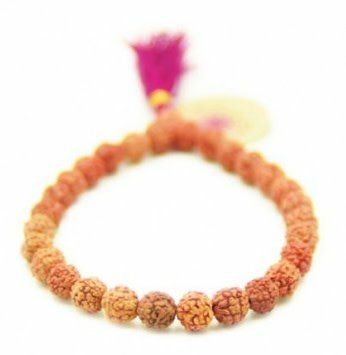 The 'Fulfilment mala bracelet' is made from miniature Rudraksha's, alternated with rock crystal beads of the same, refined size. Works on Chakra 7. 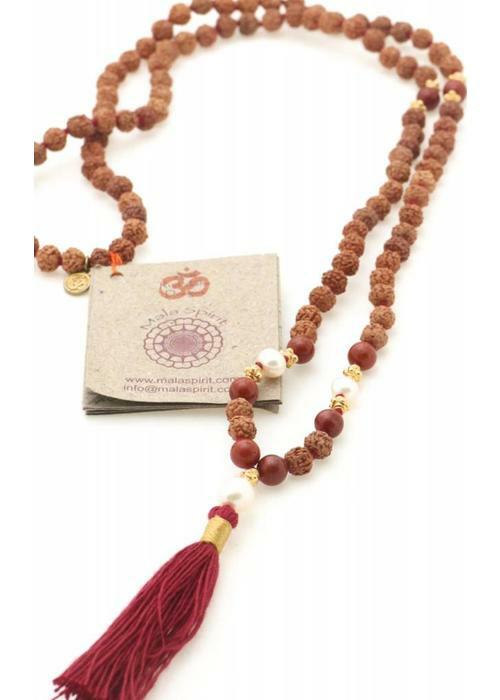 The 'Devoted to Earth mala necklace' is made of Rudrakshas, ​​interspersed with Red Jasper, Pearls and 22K gold plated Silver beads. The Devoted to Earth mala bracelet is made of Rudraksha's, interspersed with Red Jasper, Pearls and 22K Gold plated Silver beads. 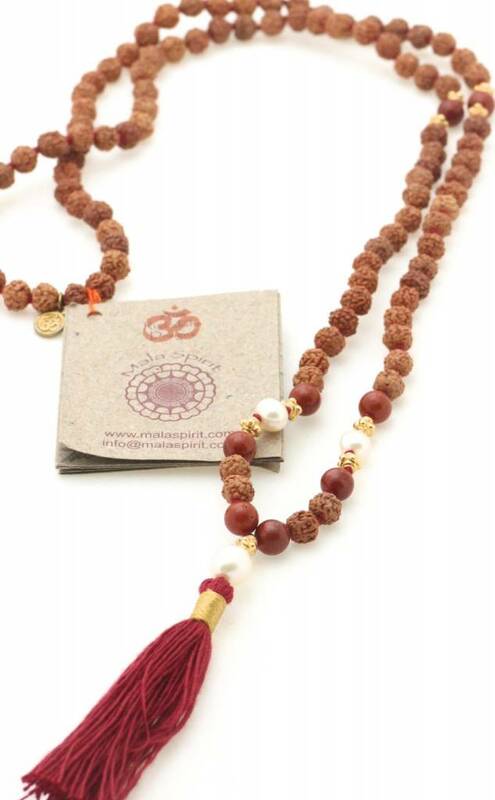 The 'Courage mala necklace' belongs to the 2nd Chakra and is made of Rudraksha's, combined with warm Carnelian. 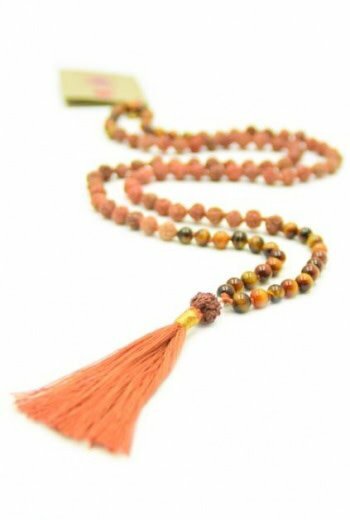 The 'Bliss Mala necklace' is a soft and loving mala made of Rudrakshas combined with Lavender quartz. 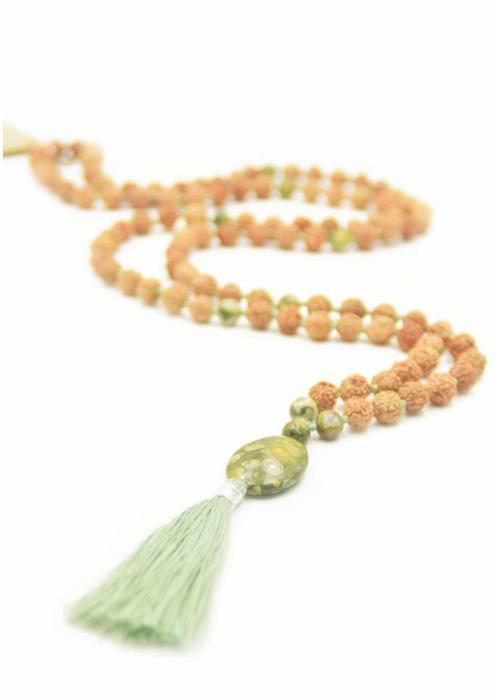 As an accent the mala has a large Rudraksha above a tassle. 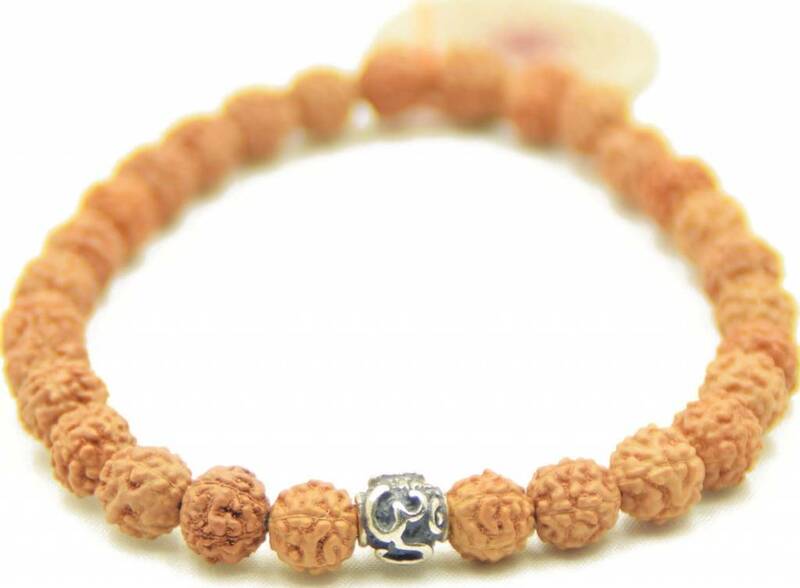 The 'Bali mala bracelet' is made of Rudraksha and a beautiful bronze eyecatcher from Balinese antiquity. 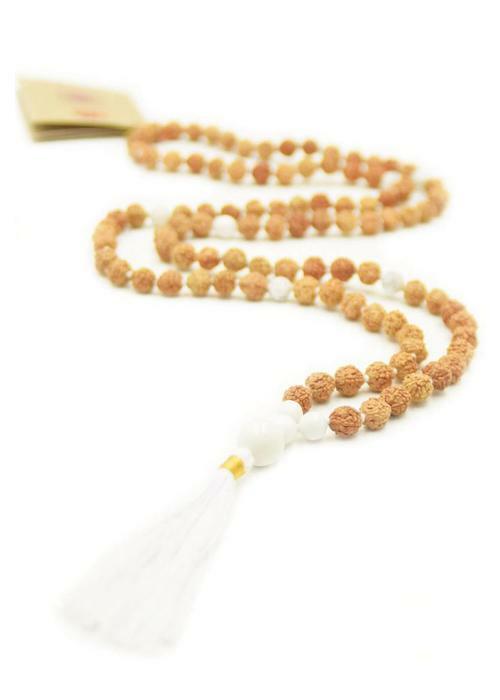 Each mala and bracelet is made by hand and carries a specific energy with it. Carried as support for positive changes in your life. The mala's and bracelets are produced ethically with only the best natural gems and other materials.